Greenwich Peninsula presents SAMPLE curated by Hemingway Design which celebrates the start of each new season and showcases emerging creatives from the worlds of fashion, beauty, art, design and homewares. All this alongside a market of seasonal food and fresh ingredients. Framing the entrance to this year’s SAMPLE Christmas, Tatty Devine’s Rainbow Halo will feature a rainbow archway sprinkled with jewelled stars, each one representing themes celebrated at this time of year; love, peace, unity, luck, magic and joy. Place yourself in front of this seasonal sculpture for a festive selfie and to crown yourself with your very own Rainbow Halo. 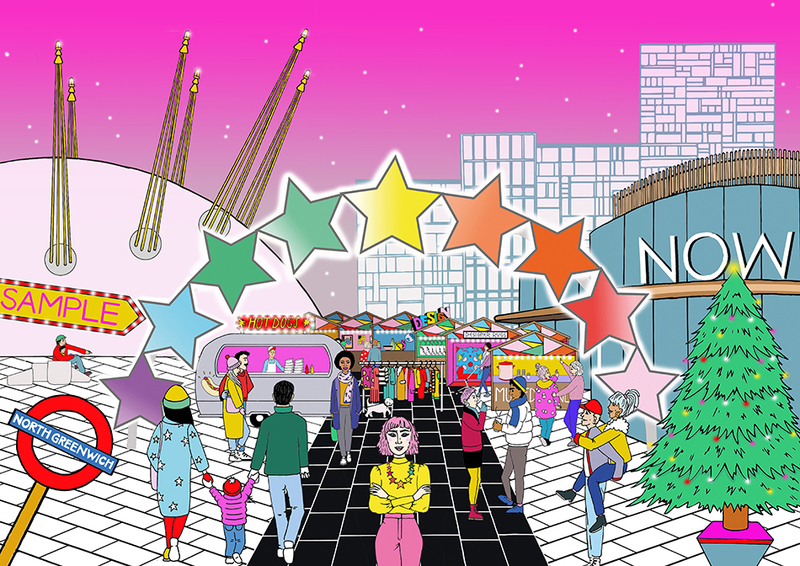 Lighting up Peninsula Square until 6th January 2019, Tatty Devine’s Rainbow Halo will be magical, colourful and bold.